Masoor, pronounced muh-soor, is probably the most commonly used daal (lentil) in India. It is available whole and split and without skin. It does not need soaking prior to cooking as it is a "soft" daal and cooks quickly. Saabut masoor, pronounced saa-booth muh-soor, means whole and the brownish skin is left on in this type of masoor daal. It can be used in all the same dishes as masoor daal (split and skin removed). Saabut masoor takes slightly longer to cook than masoor daal. Saabut moong daal, pronounced saa-booth moo-ng, is whole moong or moong with the green skin left on. It cooks faster if soaked in advance as it is a "harder" daal. Saabut moong tastes great when sprouted and is a lovely, healthful addition to salads. Mix a handful of sprouted Saabut moong daal in a bowl of yogurt, season with salt and some chaat masala (available at most Indian grocery stores) and you'll have a delicious and filling snack. Moong daal, pronounced moo-ng, has had its olive green skin removed and is split. It is a golden yellow color and turns slightly lighter when cooked. Moong does not need soaking prior to being cooked as it is a "soft" daal. Toor/tuvar or arhar daal, pronounced thoor/ thoo-vurr or urr-hurr, is most commonly sold and cooked in its split, skinless form. With its skin on, it is a greenish-brown color and without its skin, yellow. Toor daal looks a lot like chana daal but has smaller, more yellow-colored grains. It is especially popular in the west and south India. It cooks quickly and does not require soaking in advance. Urad daal, pronounced oo-rid/oo-rud, can be bought whole with its skin on, split with its skin on or split with its skin removed. This black lentil has a creamy white interior when split. Whole and with its skin on, it is known as saabut urad and has a stronger, more distinct flavor than the split, skinless variety. It is a "harder" lentil and takes longer to cook. A little soaking is best prior to cooking this daal. Urad daal, pronounced oo-rid/oo-rud, has had its black skin removed. It is creamy white in color and has a milder flavor than whole urad daal. Skinless Urad does not need soaking before it is cooked. It is often ground into flour or a paste and used as part of batters. Chana daal, pronounced chun-naa, looks like a larger version of toor/tuvar or arhar daal. It is made by splitting a smaller cousin of the chickpea. 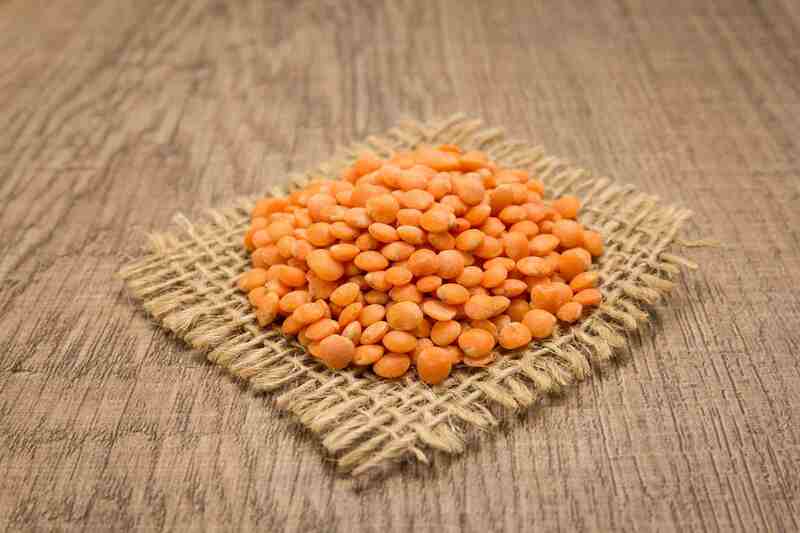 This lentil has a nutty flavor and is used in dry curries or with vegetables or meats and also as a flour (Bengal gram flour). It cooks fairly quickly and does not need soaking prior to being cooked. Also known as chole, garbanzo beans, Egyptian peas, and white chickpeas, kabuli chana, pronounced kaa-bo-lee chun-naa, has a lovely nutty flavor. In India, it is used to make curries, added to salads and even in dips. Kabuli chana is especially popular in North India. It must be soaked for several hours before cooking as it is a "very hard" bean. You can also use canned kabuli chana which is easily available in supermarkets these days but nothing beats the taste of kabuli chana freshly soaked and boiled just before cooking. There is no need to soak lobia or chawli, pronounced low-bee-aa or ch-ow-lee because it is a relatively "soft" bean that cooks easily. Watch carefully when cooking as it should not get mashed. Lobia can be used almost similarly to kabuli chana (white chickpeas) even though it tastes different. Slightly larger than the Mexican red bean, rajma (pronounced raaj-maa) or red kidney beans are very popular in North India where a well-loved dish is named after them. Not only do they taste great on their own, but they also make a terrific combination when cooked with vegetables and meats too. Rajma must be soaked for several hours before cooking to soften it. As with all beans (like kabuli chana, lobia, etc.) that are high in fiber and full of nutrition, rajma has gas-producing enzymes. The trick to beating this is to change the soaking water every few hours (before cooking) and cook them until soft. Just 1 cup of cooked daal can give you as much as 62 percent of your daily dietary fiber requirement. Daals also have high levels of important minerals like manganese, phosphorous, potassium, iron and copper. They are high in folates and the B-vitamins like Thiamin.